October 23, 2012 Culture » Big Shiny Robot! For “hard-core” gamers, the Wii was a cute family system with no real gaming experiences to be had. It was a quaint little system with all the charm of a board game you’d play with Grandma.With the new Wii U, Nintendo is looking to change that image—but those aforementioned hard-core gamers might not realize it just yet. The Wii U launches in just a couple of weeks, and I got a chance to play it. It’s going to change the way we—even the hard-core gamers—interact with games. The Wii U utilizes a controller with GamePad—an HD touch screen—embedded inside, giving you radically different options for play styles and games and allowing you a second window into the world of the game you’re playing. And since the Wii U has graphics that rival the PlayStation 3 and the Xbox, the masses of gamers have one less viable complaint about the system. The first game I tried out was ZombiU, a survival-horror game that Ubisoft designed specifically for the new console. It’s difficult to describe the game play if you haven’t had your hands on a Wii U, but if you’ve played a zombie game, you understand that when you stop to rifle through your backpack and equip items, the game stops and you’re safe for a moment. No longer is that the case—the game never stops. While you’re looking down at your controller, picking items to use and reloading weapons, the game continues on the TV screen. You’re never safe—and it’s unsettling. The GamePad isn’t a gimmick—it’s a whole new way to play. I also tried out Nintendo Land, the game that comes with the 32GB black console, and found it to be extraordinarily entertaining, even though I had a chance to play only three or four mini games. The GamePad allows one player a totally different style of game play than the others, giving you a variety that’s uncommon on consoles. The Nintendo Land game, based on The Legend of Zelda, sees a cadre of Link-like fighters roaming different areas, swinging swords with their Wii-motes, while the GamePad player acts as the archer, targeting bad guys with his/her own screen. It was great fun, and my son and I had a great time playing it together. After the demo I received, I couldn’t find any reason not to buy this console and pre-ordered mine immediately. As frosting on the cake, this console will do much more than just play games. Nintendo is positioning itself to be the go-to console for all your entertainment needs. You’ll be able to control Netflix, Hulu, Amazon, your DVR and a bunch more systems, all from your GamePad—in some cases, your Wii U won’t even need to be on. When I was at the press event, I tried to verify that the system doesn’t play DVDs or Blu-rays, but instead of a negative, I was told, “Actually, we haven’t made any announcements about that yet.” It doesn’t necessarily mean we’ll be getting that usability, but it’s a possibility. The game I might be looking forward to most, though, is Aliens: Colonial Marines, based on the second film in the Alien franchise. It looks as though we’re finally getting the console game from that franchise we deserve. With the GamePad in play, the possibilities as a user interface are endless. Who wouldn’t want to use that second screen as your radar, just like in the movie? 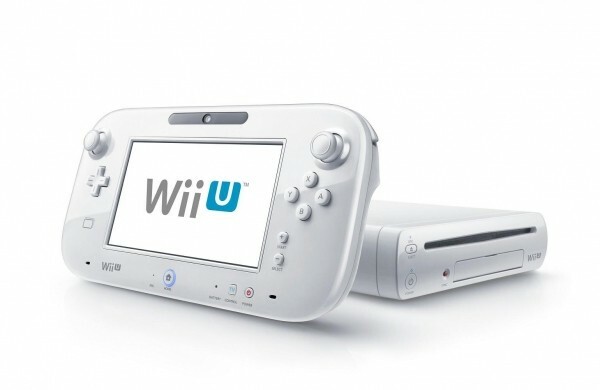 The Wii U comes out Nov. 18, and I’d advise pre-ordering it as soon as possible. It’s going to be hot and probably hard to get, just like its predecessor—and you don’t want to be the only one left behind.